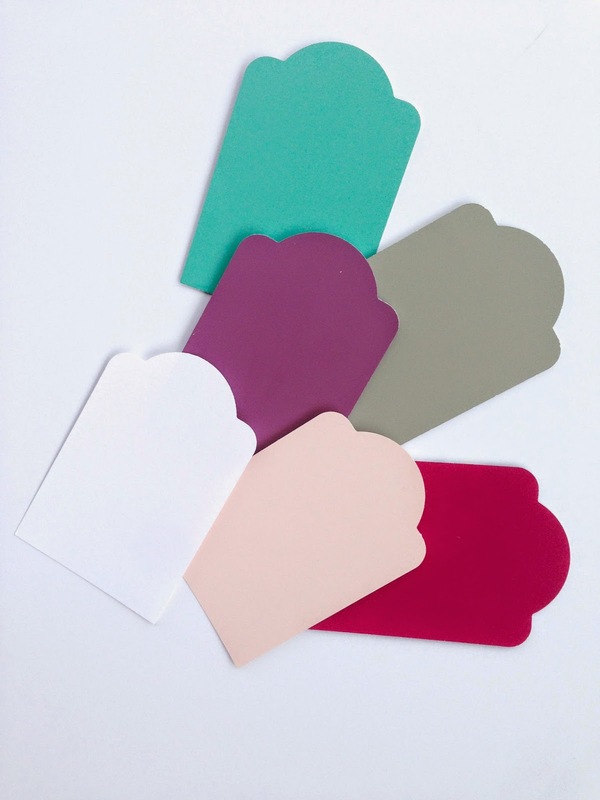 Okay, I've seen a few things floating around out there using paint chips for art, and party decor, etc. None of which I've ever actually done. But, today I ran out of all the cute gift tags I bought for Christmas gifts and decided to pull out my tag shaped hole punch and make a few out of some scraps of scrapbook paper and card stock. 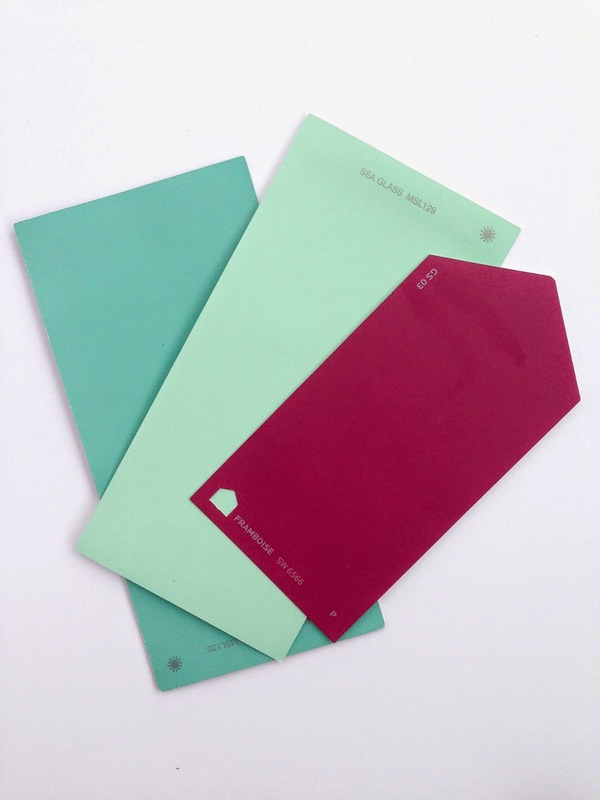 As I was cleaning my counter off to make room for this simple task, I started to put some paint samples (that I picked up at Sherwin Williams this week), in my junk drawer, when I realized they were the perfect size to fit in the hole punch. So I grabbed a handfull of paint samples out of that handy junk drawer... and, there was born, a stack of cute free gift tags! Get one, you may never buy a gift tag again! You will need a regular hole punch too, not all the tag punches have holes in them. 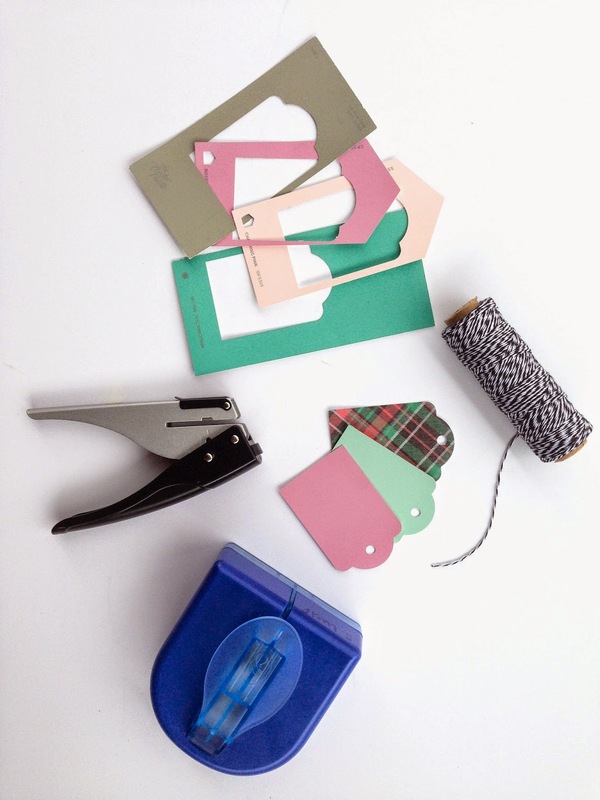 You will also need some twine, yarn, or ribbon to attach your little crafty tag. 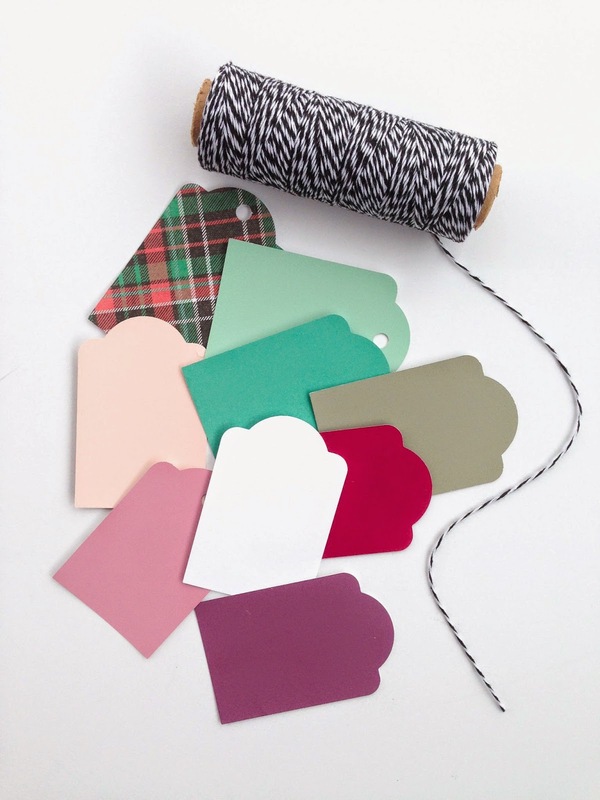 Hey, these Paint Sample Gift Tags are way too amazing. Thanks for sharing tutorial. Hey, I am going to host my bachelorette party in next month at garden venue NYC and need some DIY return gift inspirations. Could you please help me regarding this?